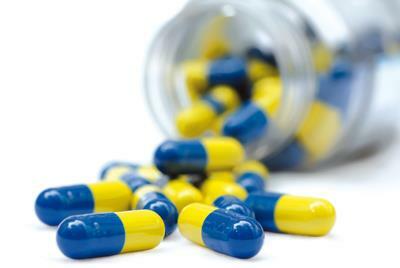 Requests for repeat prescriptions take up to three working days to process. This is for safe prescribing and allows the necessary time for doctors and administrative staff to check prescriptions carefully and issue them safely. We kindly ask for patients to plan their repeat medications taking this into consideration. Where a request is unavoidably urgent for that day, the doctor on-call will be contacted to try to help you. We ask for your patience in this situation as the doctor on-call is often seeing patients and has to accommodate late prescription requests whilst doing this. Online: You can order online via the link at the top of this page. To register to use this service please visit reception. Telephone: We regret that requests for repeat prescriptions cannot be taken verbally over the telephone at the practice, however you can call the Prescription Ordering Line on 0300 421 1215. This service is only available for items that are on your repeat prescription list. We encourage all patients who require regular medication to register with a preferred pharmacy. This allows the majority of prescriptions to be sent directly to the pharmacy of your choice as soon as they have been authorised by your GP, and can speed up the prescription ordering process. Patients who require a regular supply of drugs may find it cheaper to purchase a pre-payment certificate. Further details are available from reception. The Electronic Prescription Service (EPS) is an NHS service where prescriptions can be sent electronically to the pharmacy or dispenser of your choice. We encourage all patients to register a preferred pharmacy as this reduces the need for paper prescriptions and improves the speed and efficiency of prescription requests. If you collect your prescriptions from your GP you will not have to visit your GP practice to pick up your paper prescription. Instead, your GP will send it electronically to the place you choose, saving you time. For more information visit www.hscic.gov.uk/epspatients , your pharmacy or GP practice. (Dec 2014).